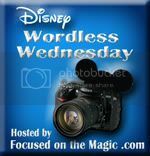 Semi Wordless Wednesday … Showing Our Disney Side! You may have seen some fun going on yesterday at the Disneyland Resort in California. It was a special day indeed as the Grumpiest Cat in the World met the Happiest Place on Earth! In case you missed it, check out this great post on the Disney Parks Blog where some Social Media All-Stars show their Disney Side! I thought I’d share some of my family’s Disney Side with you all today too! Even our cat has a Disney Side…maybe not by her choice, but she’s got one nonetheless. So, what are you waiting for? Get out there and share your Disney Side! Be sure to use the hashtag #DisneySide when you post!